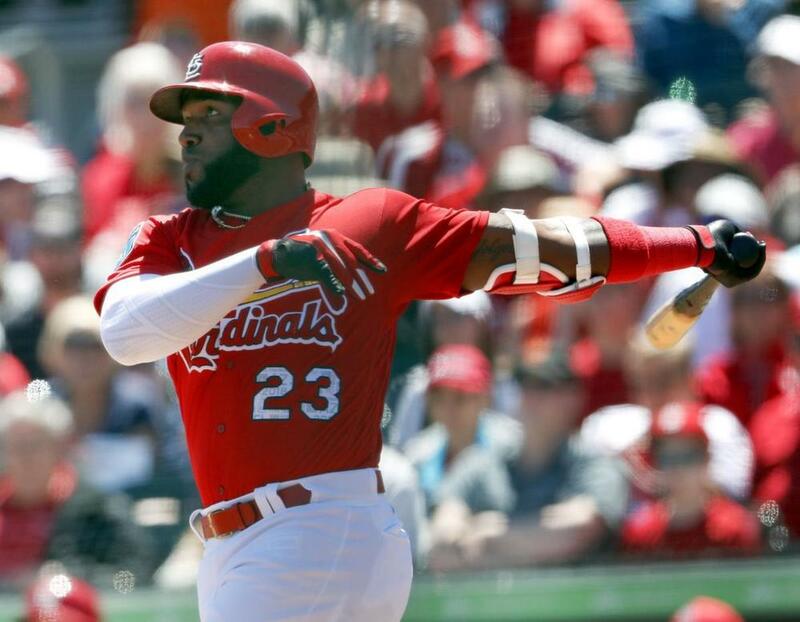 Marcell Ozuna (OF-STL) - Ozuna continued his hot hitting Tuesday, going 1-for-3 with a walk and his seventh homer of the season (all in his last nine games). He line rose to .293/.339/.707 as a result, and though we'd like to see more than three walks in 62 PA, a 1.046 OPS is tough to complain about. Offseason shoulder surgery doesn't appear to have affected his power, so that's a relief for his owners. Now if he can just get his BB% back near his 7% (approx.) career mark, we'd really have no complains. As icing on the cake, Ozuna has even swiped a pair of bases, so he's off to a nice start as he looks to offseason free agency (or an extension from the Cardinals). Amir Garrett (RP-CIN) - Garrett is off to a great start, allowing just one run on four hits over 6.2 relief innings, including a 10:2 K:BB. Since working as a starter back in 2017, Garrett has seen his fastball velocity climb dramatically, from 91.7 mph on average that season to 94.8 mph this year. His control is much better, and he's carrying an elite 14.9% swinging strike rate. In his relief role, Garrett has morphed into a two-pitch pitcher, and they are both plus pitches, a fastball, and a unique slider that looks like a slider coming out of his hand, but has different movement, almost like the legendary gyroball. Whatever it is, it's working. Raisel Iglesias recorded his third loss Monday against the Dodgers and now has a 6.75 ERA. With David Hernandez also struggling with a 2.33 WHIP, Garrett could be in line to see some save chances at some point this year. Interestingly, the southpaw has been more effective against same-sided hitters throughout his career, so if he can figure out how to improve against lefties, he could be that much more dominant. Steven Duggar (OF-SF) - Duggar is hitting just .236/.260/.375, but the Giants appear committed to him as their leadoff man and RF (not CF with Kevin Pillar in town). Duggar raised his line to that level after going 2-for-5 Tuesday, including a home run off Stephen Strasburg in a Giants win. Most troubling for Duggar is that in 77 PA, he has a 24:2 K:BB, not exactly the ratio you want in a leadoff man. The Giants are going nowhere this year, so they may as well play guys like Duggar. He's hit a combined .271/.356/.420 in Triple-A the past two seasons, so there is some on-base ability, though that came with a poor 28% K%, and a .149 ISO in the PCL is nothing to get excited about. He's probably an NL-only guy at best at this point, but if the Giants have patience with him and keep putting him in the leadoff slot, that will help his value. A.J. Minter (RP-ATL) - RIP Minter's fantasy value? With Arodys Vizcaino being placed on the IL Sunday due to a shoulder injury, Minter's ownership percentage immediately skyrocketed of course. Entering Tuesday's game in a tie affair, Minter promptly allowed three runs, leaving him with a 9.64 ERA and 5:4 K:BB in 4.2 innings. Paging Craig Kimbrel? In all seriousness, that has to be on the table at this point, as no one really knows who is in line to get the next Atlanta save opportunity. It could be Minter, but he's not exactly inspiring confidence. It could very well be Wes Parsons, as though his stuff isn't elite, he has a 2.70 ERA in eight appearances, and the other options appear less likely. Another option could be to use one of their top young arms (Bryse Wilson? Kyle Wright?) as the stopper, but that doesn't appear likely either. Go ahead and grab Parsons in deeper leagues, but don't drop Minter just yet. Joe Musgrove (SP-PIT) - The main piece in the Gerrit Cole deal, Musgrove has yet to have the breakout I think he can, but perhaps this is the year. With two runs allowed in seven innings against the Tigers Tuesday, Musgrove's ERA actually rose - to 0.81 in 22.1 innings. With a 21:4 K:BB, 0.81 WHIP, and .169 BAA, he's doing a great job keeping runners off the bases. Musgrove though has yet to maintain consistent velocity throughout his starts, as he sat in the 91-93 range early Tuesday, before sliding more in the 89-91 range in the latter innings. The results have been there in terms of ERA, but he'll need to maintain his velocity deeper into games going forward, or the results could be suboptimal. Injuries limited Musgrove to 19 starts last year, but if he can make 30 this season, Musgrove could be a top-40 fantasy starter, if not more.